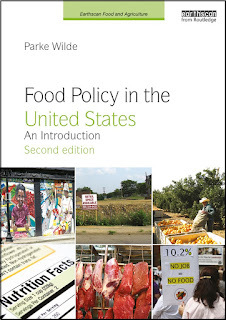 U.S. Food Policy is on a short sabbatical so the author can work harder at his day job. That's a paradox. Please enjoy the archives and join us again for new material in two months (late March, 2007). Meanwhile, in addition to the many sidebar links, Jack from Fork&Bottle points out to me that the Ethicurean's daily digest is a good source of timely links. A statistics exercise in date computations: when is your "personal MLK day"? On that December 5 night in 1955, when the Montgomery bus boycott had lived 1 full day so far and nobody knew it would eventually live a long life of 382 days, a frightened crowd gathered in church to sing "Leaning on the Everlasting Arms" and other reassuring hymns. The speaker who then rose to the podium was a relative newcomer to Montgomery, and a youngster, who had lived just 9820 days so far, less than 27 years. Martin Luther King was not yet famous, but he met the needs of the congregation that night. When King was shot in Memphis 4504 days later, he was only 39 years old. That's my age, too. More precisely, February 14 this year is my "personal MLK day." That is the holiday I dreamed up on which a person has lived 14324 days so far, the number of days that King lived in total. The personal MLK day may be used as a time of reflection on what you have accomplished and want to accomplish. Epilogue. Last night at bedtime, in our own little MLK Day observance, my children and I sang "Leaning on the Everlasting Arms" and discussed the words. They have lived, respectively, 2346 and 1748 days so far. Visit the five nominees and vote here. Meat and milk from cloned animals may not appear in supermarkets for years despite being deemed by the government as safe to eat. But don't be surprised if "clone-free" labels appear sooner. The assessment and the agency's endorsement of cloned food comes despite widespread concern among scientists and food safety advocates over the safety of such products. The move to market cloned milk and meat also flies in the face of dairy and food industry concern and recent consumer opinion polls showing that most Americans do not want these experimental foods. When I heard the news last week that the FDA approved the use of cloned animals and their offspring as food for the American populace, I almost puked at the thought. Not as much from the thought of actually eating cloned food, but more so as a guttural reaction to what I feel is happening all too often today regarding our food—and to the beings, non-human and human, who provide it. The left-wingers want the FDA, Congress and President Bush to keep clones off the market. Their case, laid out in a petition to the FDA, is a mess of anecdotes, obsolete data, speculation and ideology. Like right-wingers in the human cloning debate, they expect the government to honor even their "religious" objections. My objection to last week's federal government decision has less to do with meat safety and more to do with the broader implications of industrial-scale animal cloning. I suspect it shortens the highway to human cloning, which is one of several technologies that I might support only in some future world where humans have collectively matured beyond their current prejudices. In the same vein, I hope my great grandchildren can enjoy the benefits of nuclear energy in a world that has overcome the risk of nuclear violence (see link to news yesterday). For cloning, like wider adoption of nuclear energy, I say: better not this century, and probably not the next.